Taranto, largest city of its province and one of the most populated cities of the South of Italy (approx. 200.000 inhabitants). It is situated on the seaside and it faces its own gulf over the Ionian Sea. It is known as the "city over two seas" as it lies between the Mar Piccolo (Small Sea) and the Mar Grande (Large Sea). The Mar Piccolo is a large bay and in the North part there is a large presence of some fresh water sources that mixed to the salty water (known as "citri") are the ideal environment for the farming of mussels, famous worldwide as "cozze tarantine" (mussels of Taranto). The Mar Piccolo and The Mar Grande are divided by two peninsulas. The Southern Peninsula became an island after the building of the moat of the Aragonese Castle. This moat became the connecting channel between the two seas. In the city there are two important bridges: one is the "Swing Bridge" that connects the isle to the rest of the city and permits the transit of ships in the channel, and the "Bridge of Punta Penna" that connects the North shore to the South shore of the Mar Piccolo. Taranto is a very important industrial and commercial port and on the inland there are some of the largest iron and steel factories of Europe. The climate is Mediterranean, mild during the Spring, Autumn and Winter and very warm throughout the Summer. The most antique part of the city is the isle, where the Old City was established and where it possible to admire the different urban building layers. The settlement growth along the peninsula started during the XIX century. The city growth was possible due to its specific location and its major resource: the Sea. 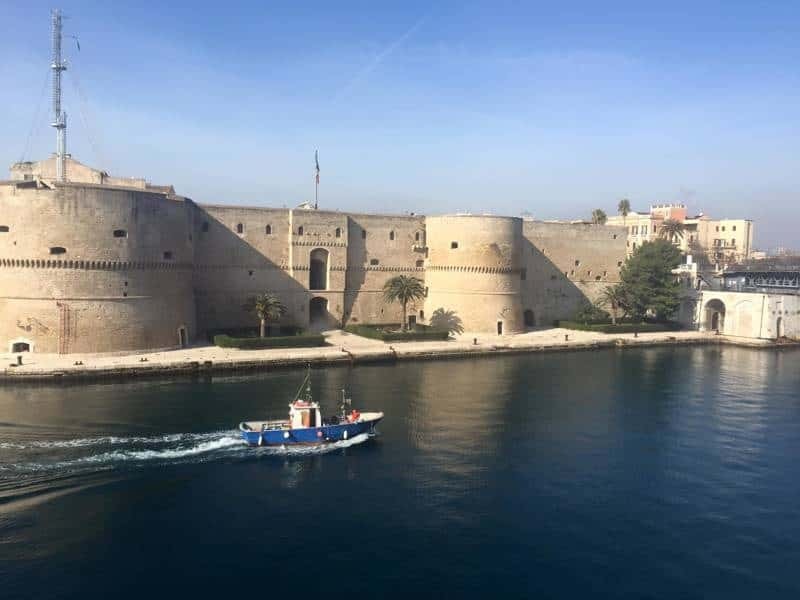 Taranto attracted inhabitants from the Old Ages for its natural bay with the presence fresh water, good fishing possibilities and the perfect environment. 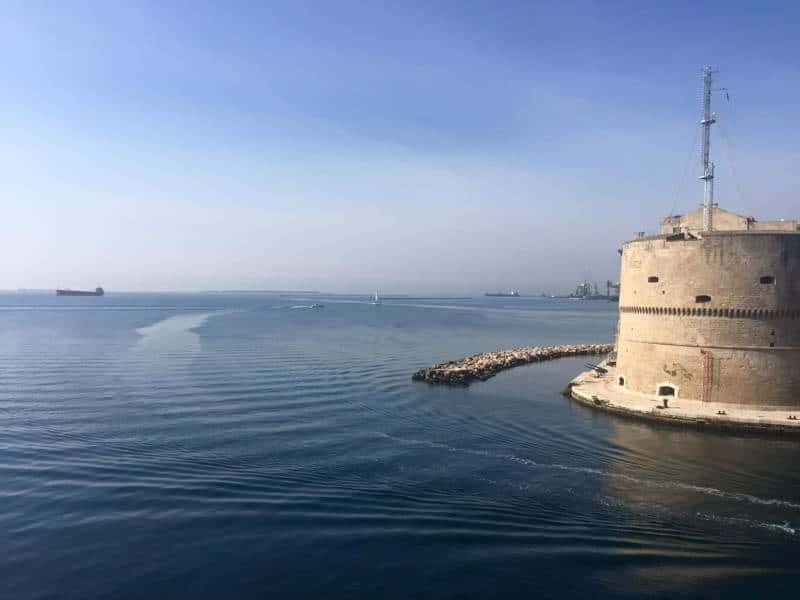 Originally built by the Messapi (Italic population with origins in the area), Taranto reaches its maximum splendor with its Greek settlers at the Ancient Greece times. For the traditions, 706 a.C. is the year when the Spartans, strong warriors settled in the city and renamed it Taras and it became an important cultural and commercial centre. Even in the Roman Ages, when the new conquerors moved most of the commercial traffic towards Brindisi, Taranto always held a major role in the Empire. The thousand year history of the city has produced important and rich traces, such as the collection "the Gold of Taranto" ("gli Ori di Taranto") which are on exhibition in the National Museum. There are also a series of necropolis throughout the city and at least 160 tombs have been excavated. The most famous are "the tomb of the Athletes" and "the Sepulchre of Genoviva". Not to miss the Aragonese Castle and numerous churches of different architectural styles, that make the visit of this city a unique sensation. This town web page has been visited 37,478 times.